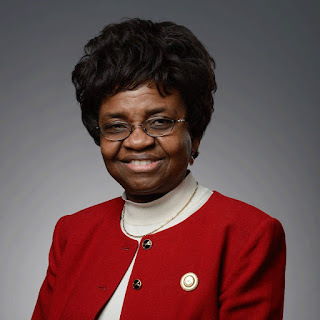 Adeyeye, as Director General of National Agency for Food, Drug Administration and Control (NAFDAC). The new NAFDAC DG is the wife of Senator Olusola Adeyeye (Osun Central). The council stated this in a statement on Sunday by its Director of Health Dr. Ezeokoye Paschal on behalf of the President, Garba Muhammad. The council said Prof. Adeyeye’s appointment represents the yearnings of the Nigerian people, stressing that the leadership of the agency by a renowned technocrat and seasoned Professor of Pharmacy would help to eradicate the fake and substandard drugs and foods in the country. The statement reads: “The National Youth Council of Nigeria (NYCN) commends the federal government for taking the right step in the right direction in putting a square peg in a square hole by appointing a technocrat, a renowned and seasoned Professor of Pharmacy, Moji Christianah Adeyeye, to head NAFDAC. “This is a long awaited actualization and fulfillment of desires and yearnings of Nigerians, it will not only help to ensure to effective and efficient productivity but will help to curb and eradicate the fake and substandard drugs and foods in our country. While pledging its support to the agency, the Council appealed to the new NAFDAC boss to use her knowledge and experience to help restore the dignity of the agency which appears to have lost its glory. It said: “We wish to remind the Director General that to whom much is given, much is required, the fate of over 170 million Nigerians lies on her hands. “It’s high time she took the bull by horn and eradicate the fake and substandard drugs/foods that is gradually rearing up its deadly head hence endangering the lives of Nigerians. “We plead that she helps restore the dignity of the agency which lost its glory since late Prof. Dora Akunyili left. “More importantly we ask that the agency should intervene on the incessant rise in the prices of drugs in the market which has been inaccessible and profoundly unaffordable to the poor masses. “The markets need to be properly regulated to forestall the undue exploitations of the poor Nigerians by the importers and manufacturers.